It was late into the night that my connecting flight from Milwaukie began its final approach into Reagan National Airport. Looking out the window, it felt like I could almost touch the Washington Monument. It was lit up like a candle as we were zooming by. Business can take you across town or across the nation. Mine was the latter this fall. They say that Washington D.C. is an emotionally charged city. 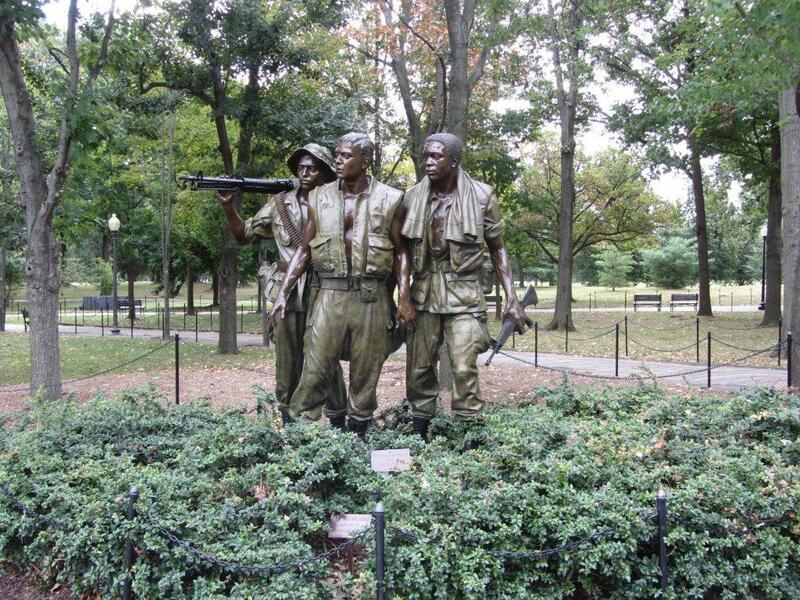 You will understand why when you spend some time at the National Mall. After a couple hours of sleep, and a strong cup of joe, I set off to do just that. Fortunately, this was before our recent governmental shut down. Like many of us on the West coast, I had never visited our nation’s capital. There is certain energy in that city that is arguably the epicenter of the free world. It is a very busy, noisy place with swarms of jets landing and taking off from a variety of airports. I had planned one extra day to myself while I was there, so I hoofed it down the street from my hotel. I caught the Blue Line to the Foggy Bottom Station like a local and started walking. My legs were like pistons! By the way, The National Mall is about two miles long; if you are going to do this someday, bring really comfortable sneakers. I didn’t and by the end of the day (and about nine miles of walking) my dogs were barking. My journey began at the White house. 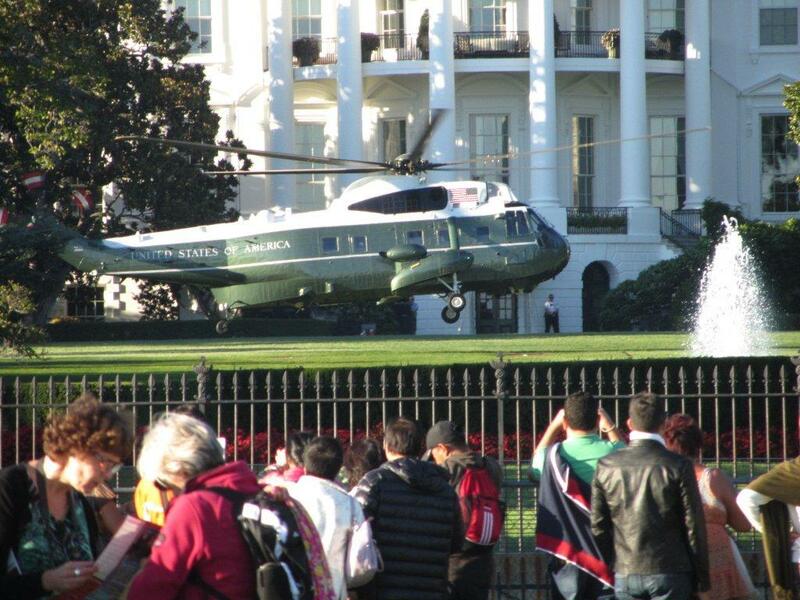 It was a busy day for Marine One, the President’s Sikorsky VH-3 Sea King. They were doing multiple “touch and goes” on the White House lawn. It was quite a show for us commoners. I shot over to the Washington Monument and then on to the Lincoln and the Vietnam Veterans Memorials. If you ever do this, for all its contradictions, you will be left with a deep sense of the meaning of our country. Forgive me for the title of the article. It got your attention, didn’t it? Being a humble administrative law attorney, I will never be presenting oral argument before the “Supremes.” However, all lawyers must make the pilgrimage to the Court while they are in town; I was no exception. Sadly, the building was all trussed up for refinishing after a basketball sized chunk of marble sloughed off the front of the building in 2011. It is a magnificent structure completely encrusted in all manner of local and imported marble. Not all justices were happy with the structure when it was erected in 1935. If you are a law buff, Google “The Supreme Court Building” and you will find a fine Wikipedia article on the subject. Behind the Capitol and the Supreme Court buildings you will find the Capitol Hill District, a simply incredible neighborhood with old brick homes and flats dating back to the 1790’s. I spent a leisurely hour walking the sun dappled sidewalks of this quaint and historic place. No trip the Mall would be complete without visiting the Smithsonian museums and the US Botanic Garden. Feeling my age toward the end of my odyssey, after I hit the US Botanic Garden, I chose to focus on the Air and Space Museum and the Museum of American History. 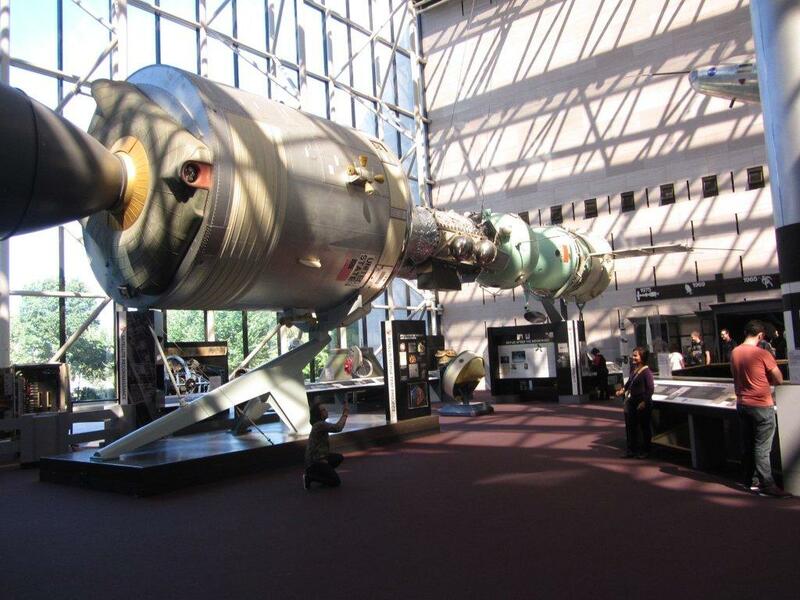 I had no idea that the original space capsules were so small and primitive. Juxtaposing that up against the full size replica they had of Skylab (that you could walk into! ), was a mind blower. The best news was it all of it was free; the only thing you had to pay for was a good old American hot dog for lunch. That is my kind of day!